Zoo Johor - Malaysia... I Luv U.. Established in 1928 by the late Johor King, Sultan Ibrahim Ibni Almarhum Sultan Abu Bakar, Zoo Johor is one of the oldest zoos in the country and also in Asia. Originally called an “animal garden”, the medium-sized zoo was handed over to the state government to manage in the 1960s. Catch a glimpse of mighty lions, or play with the friendly elephants. Observe the huge, silent crocodiles from a safe distance, or stroll around the lake while admiring the aquatic birds. Zoo Johor is open daily from 8am to 6pm. It gets packed during public holidays and school holidays, so avoid those periods if you don’t like crowds. The entrance fee is MYR 2 for adults and MYR 1 for children (prices subject to change). Located along Jalan Gertak Merah, Zoo Johor is a short drive from the Johor Bahru Custom & Immigration Quarantine Complex (CIQ). 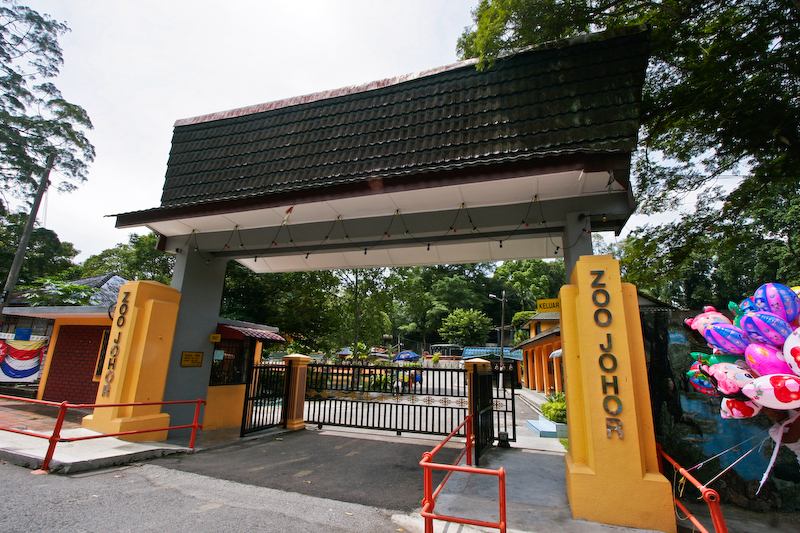 Zoo Johor is a stone’s throw away from the Sultan Abu Bakar State Mosque. You can walk there in less than 10 minutes.